When I first started this blog, I was pretty sure I perfectly knew my land. 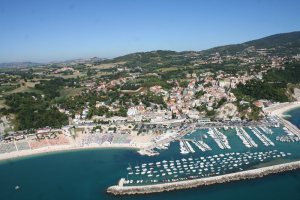 The more I’m posting at Discovermarche, the more I’m realising how wrong I was! 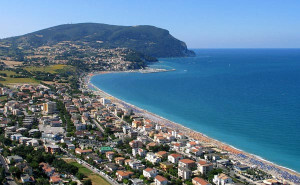 For instance, I’ve always linked the Adriatic coastal town of Numana to beaches, to the harbour and to a refined and elegant tourism that makes it a popular destination in Italy and abroad. It was only after Mrs. Lidia Berlingieri invited me to visit the winery she successfully manages with her husband, that I’ve found out about the unexpected beauty of this town in the north of Le Marche. Should be compulsory, like fairy wings and hot dog with onions. And for us oldies add a bit of purple!! for this festival, a design of a cup cake! if they would like some glitter dots like mine? This glitter dotting has become a tribal look, and the face embellishing adds colour, interest and joy to the Seething events. How un-lady-like I hear you say. Not if you are part of the WI – the Woman’s Institute. They will tell you its not about Jam and Jerusalem. They have spectacularly brought themselves into the 21st century in a very big way. Their web site and media is second to none. They make sure that each group is supported, and they promote good causes and raise money for charities. Each year they choose a good case to lobby parliament on. Its a way of like minded women to get together, and support one another in any way they can. The Maple Village WI. This is the web site for my local WI, a fun group of women- who meet in the local pub. And its this group together with many other groups across the UK who have been stripping off their bras, and filling them with bright coloured flowers and hanging them around the country. And the flowers can be sponsored by an organisation or a company. The Skye High Foundation will make sure the lovely bra it has sponsored will be watered, and cherished!